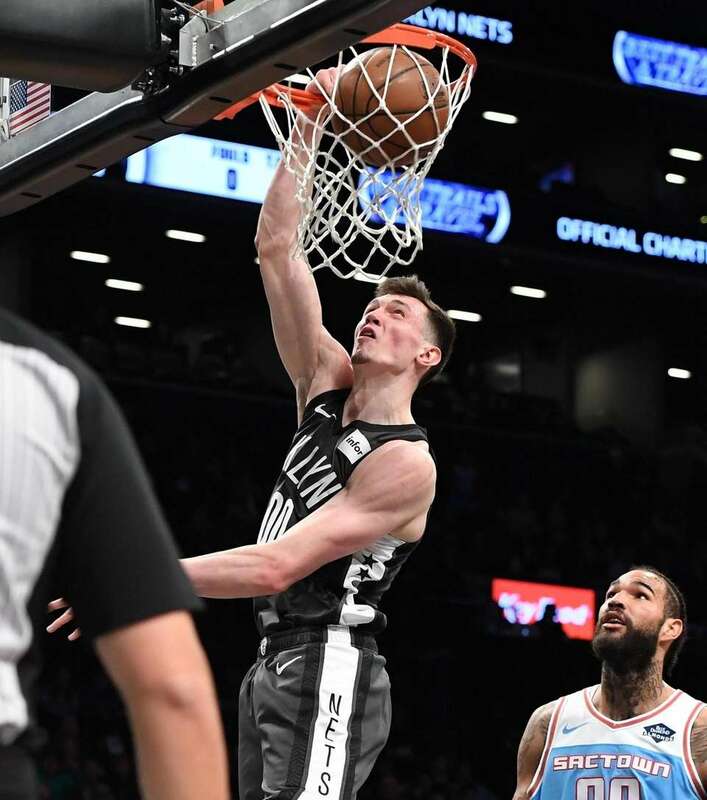 Scenes from the Nets' 123-94 over Sacramento at Barclays Center on Jan. 21, 2019. 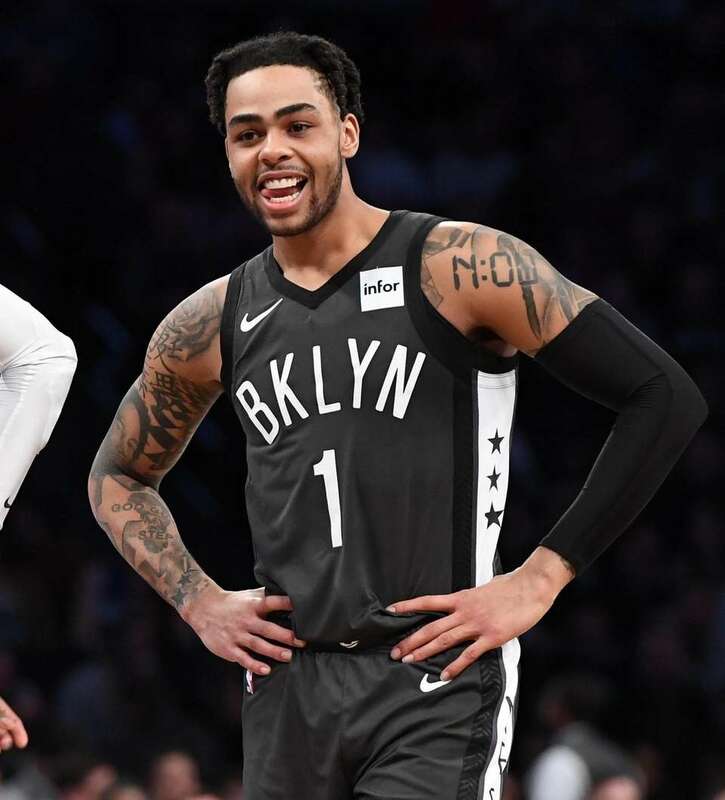 Brooklyn Nets guard D'Angelo Russell looks on in the first half of an NBA basketball game against the Sacramento Kings at Barclays Center on Monday, Jan. 21, 2019. 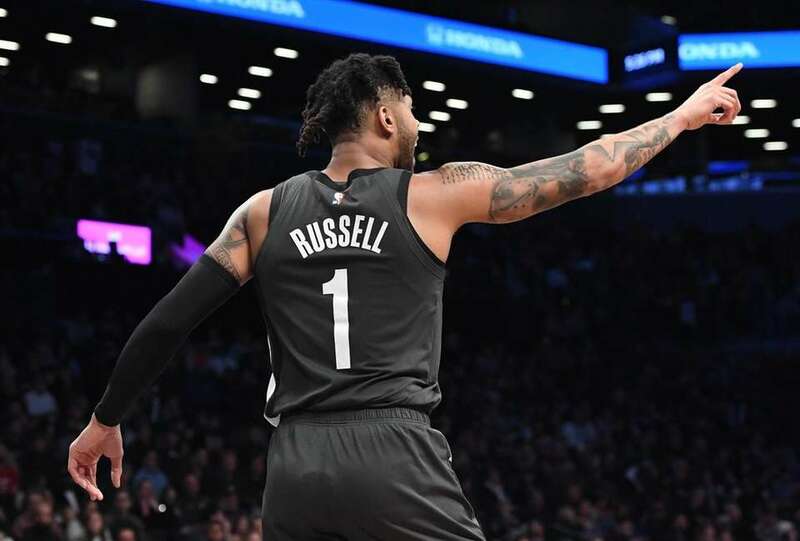 Brooklyn Nets guard D'Angelo Russell gestures against the Sacramento Kings in the second half of an NBA basketball game at Barclays Center on Monday, Jan. 21, 2019. 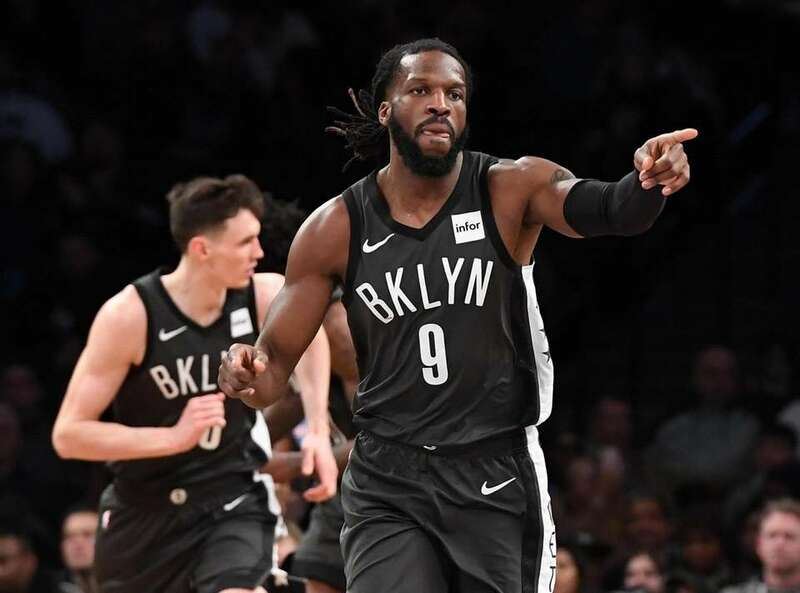 Brooklyn Nets forward DeMarre Carroll reacts after sinking a basket against the Sacramento Kings in the second half of an NBA basketball game at Barclays Center on Monday, Jan. 21, 2019. 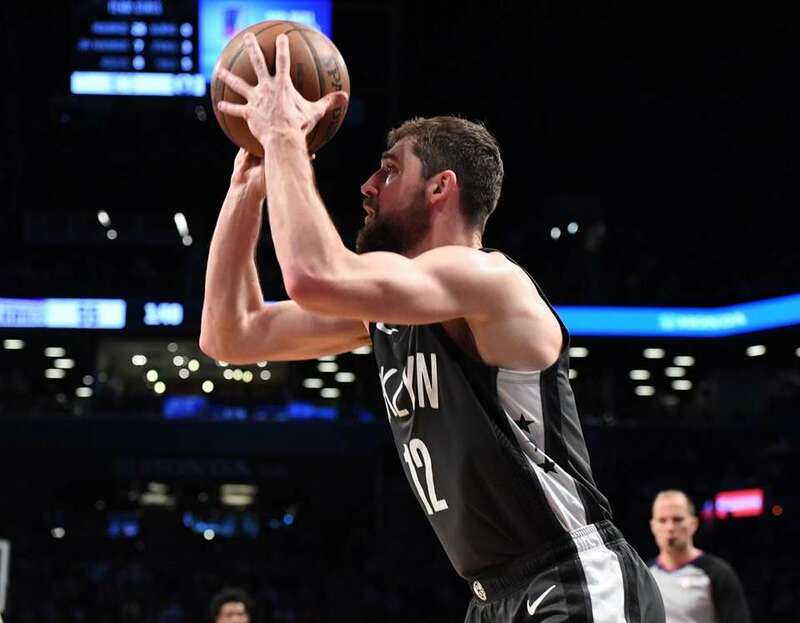 Brooklyn Nets guard Joe Harris shoots from the corner for a three-point basket against the Sacramento Kings in the first half of an NBA basketball game at Barclays Center on Monday, Jan. 21, 2019. 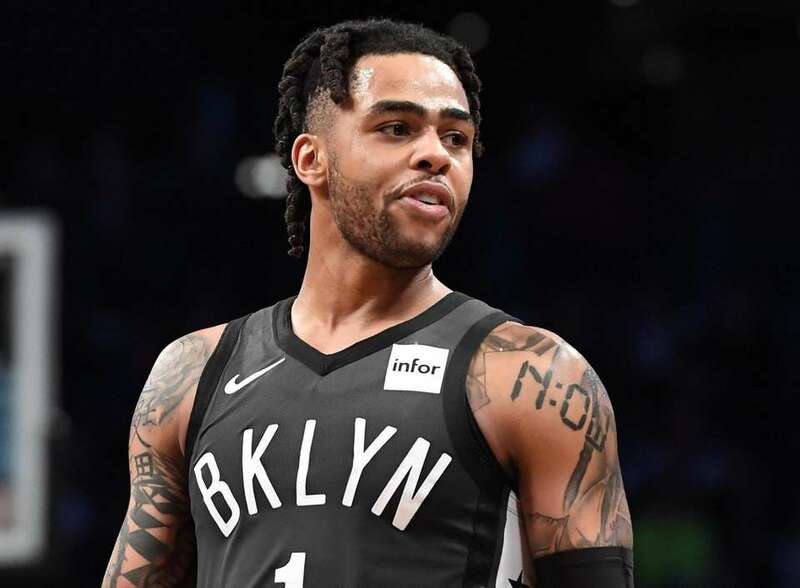 Brooklyn Nets guard D'Angelo Russell looks on in the second half of an NBA basketball game against the Sacramento Kings at Barclays Center on Monday, Jan. 21, 2019. 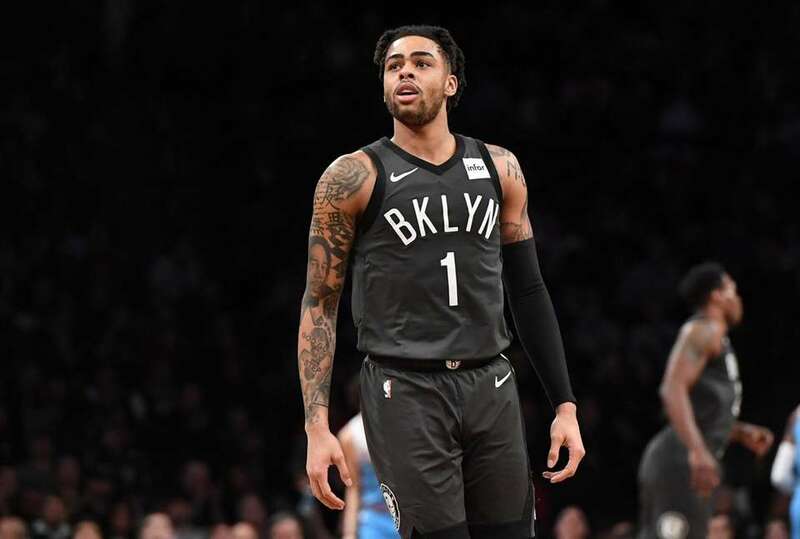 Brooklyn Nets guard D'Angelo Russell reacts after he sinks a three-point basket against the Sacramento Kings in the second half of an NBA basketball game at Barclays Center on Monday, Jan. 21, 2019. 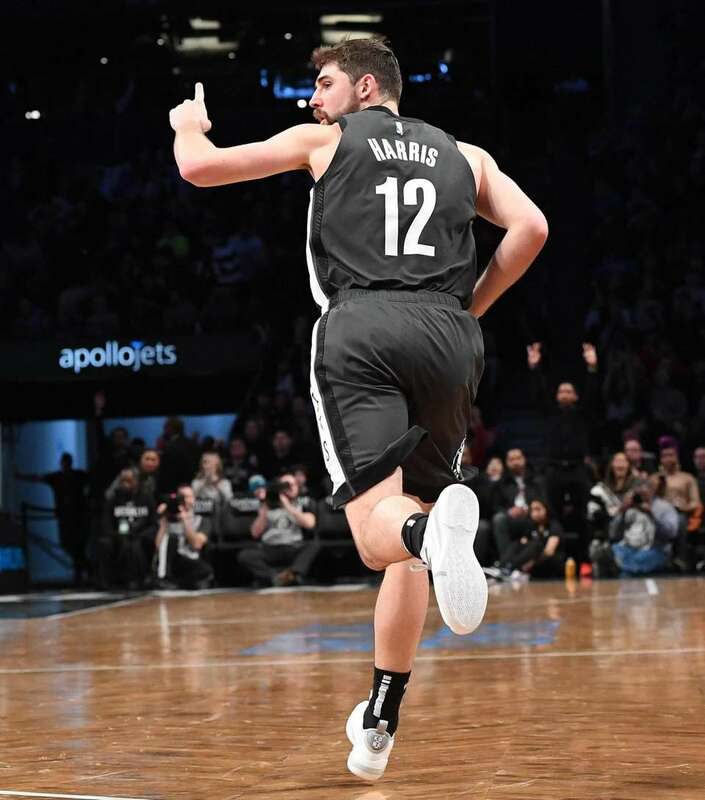 Brooklyn Nets guard Joe Harris reacts after he sinks a three-point basket against the Sacramento Kings at Barclays Center on Jan. 21, 2019. 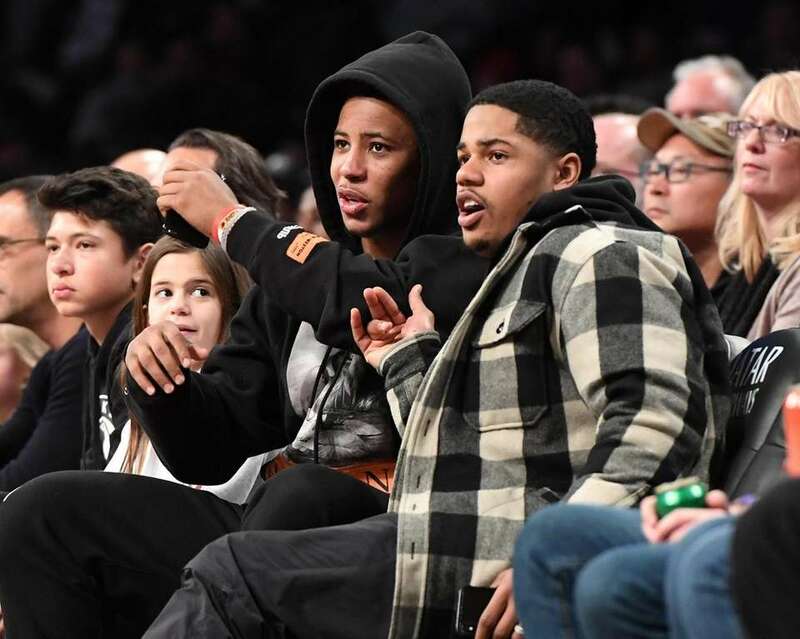 New York Giants players Saquon Barkley and Sterling Shepard attend an NBA basketball game between the Brooklyn Nets and the Sacramento Kings at Barclays Center on Monday, Jan. 21, 2019. 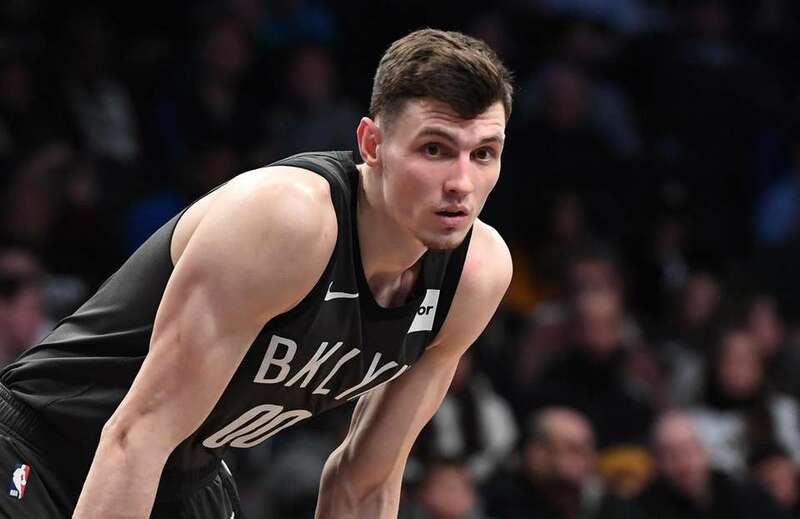 Brooklyn Nets forward Rodions Kurucs looks on against the Sacramento Kings in the first half of an NBA basketball game at Barclays Center on Monday, Jan. 21, 2019. 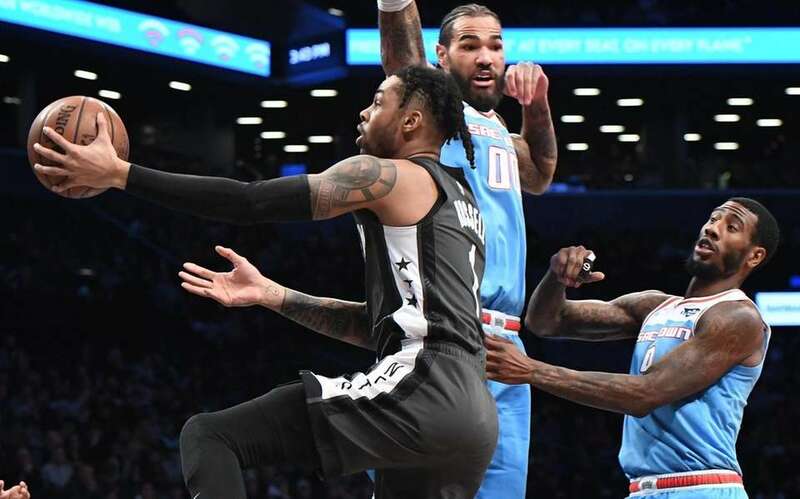 Brooklyn Nets guard D'Angelo Russell puts up a reverse layup past Sacramento Kings center Willie Cauley-Stein and forward Iman Shumpert in the first half of an NBA basketball game at Barclays Center on Monday, Jan. 21, 2019. 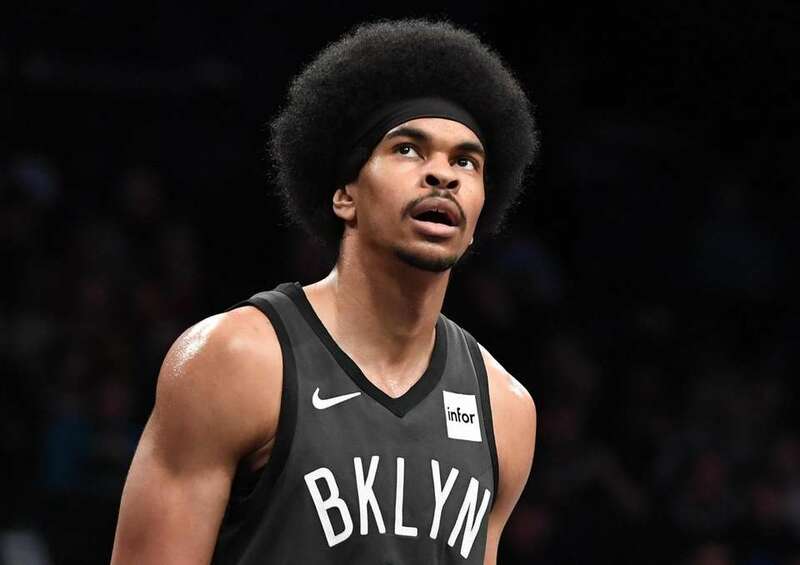 Brooklyn Nets center Jarrett Allen looks on against the Sacramento Kings in the first half of an NBA basketball game at Barclays Center on Monday, Jan. 21, 2019. 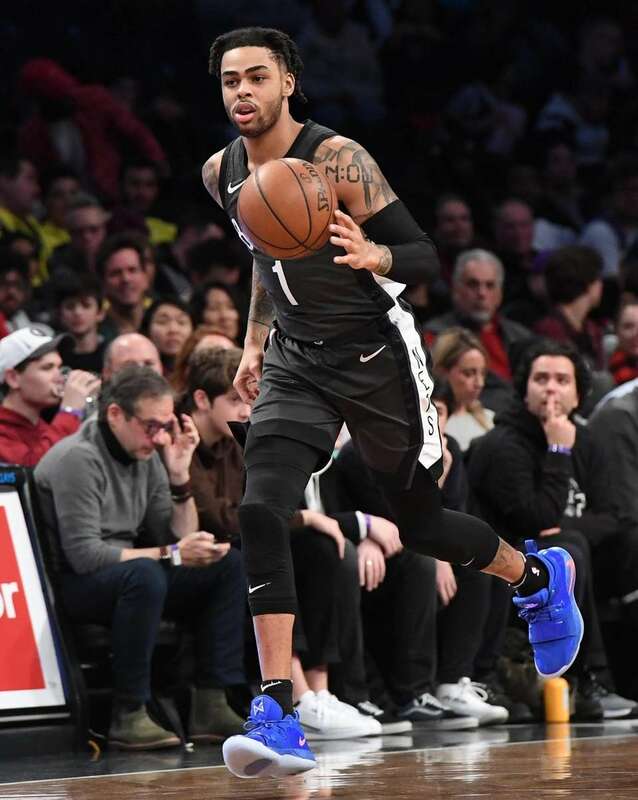 Brooklyn Nets guard D'Angelo Russell dribbles the ball up court against the Sacramento Kings in the first half of an NBA basketball game at Barclays Center on Monday, Jan. 21, 2019. 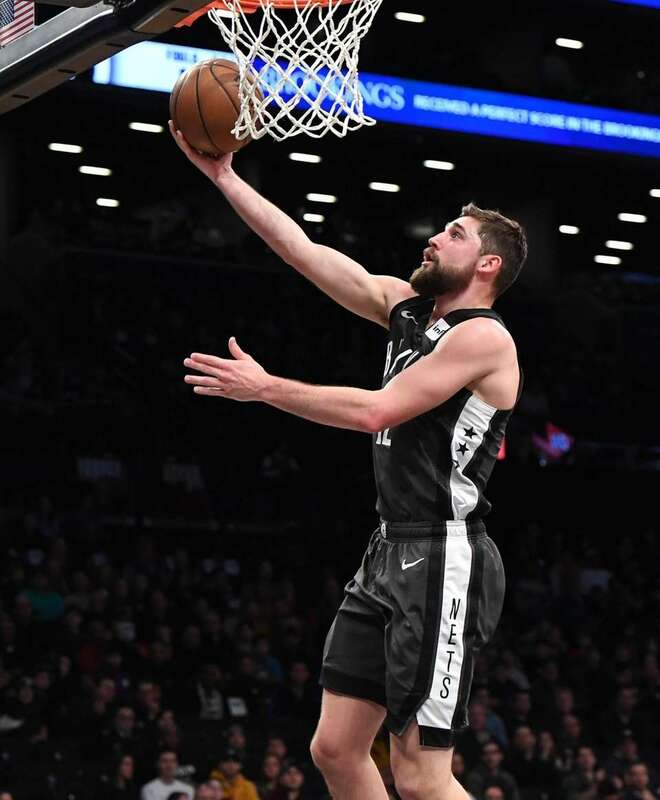 Brooklyn Nets guard Joe Harris puts in a layup for two points against the Sacramento Kings in the first half of an NBA basketball game at Barclays Center on Monday, Jan. 21, 2019. 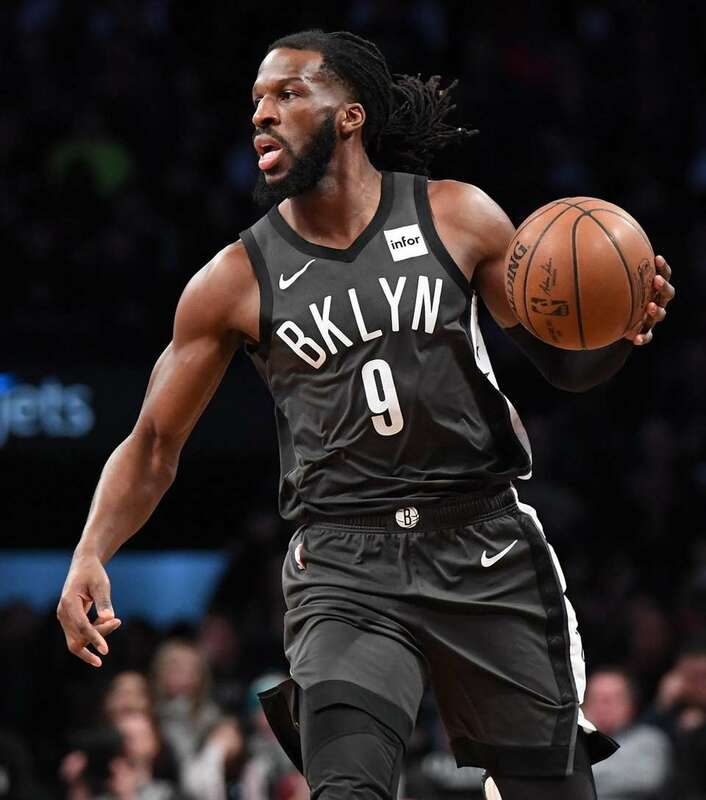 Brooklyn Nets forward DeMarre Carroll controls the ball against the Sacramento Kings in the first half of an NBA basketball game at Barclays Center on Monday, Jan. 21, 2019. Brooklyn Nets guard Spencer Dinwiddie dribbles the ball up court against the Sacramento Kings in the first half of an NBA basketball game at Barclays Center on Monday, Jan. 21, 2019. 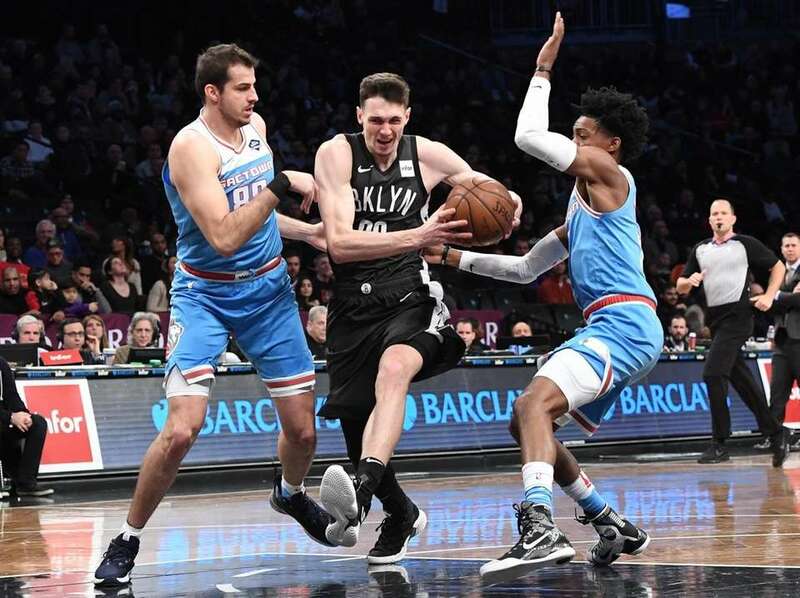 Brooklyn Nets forward Rodions Kurucs drives the ball between Sacramento Kings forward Nemanja Bjelica and Kings guard De'Aaron Fox in the first half of an NBA basketball game at Barclays Center on Monday, Jan. 21, 2019. 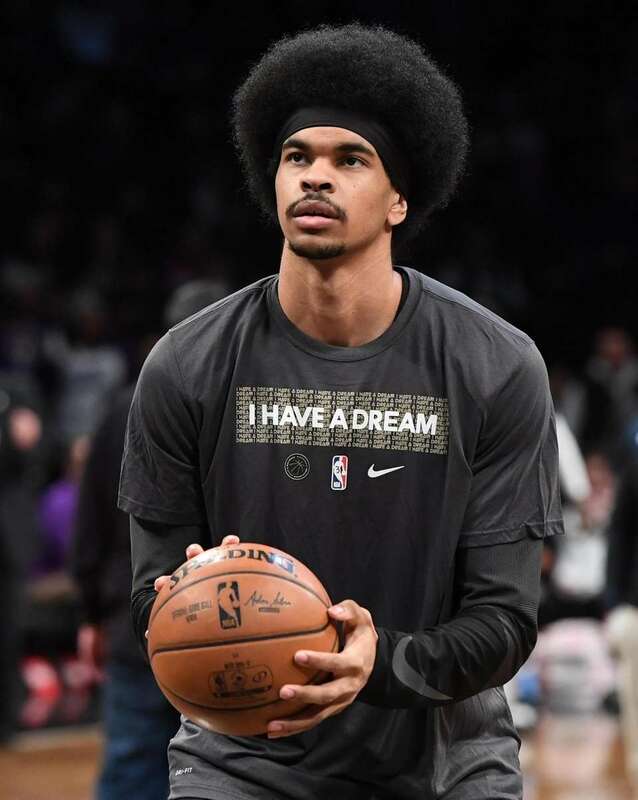 Brooklyn Nets center Jarrett Allen warms up in a shirt honoring Martin Luther King before an NBA basketball game against the Sacramento Kings at Barclays Center on Monday, Jan. 21, 2019. 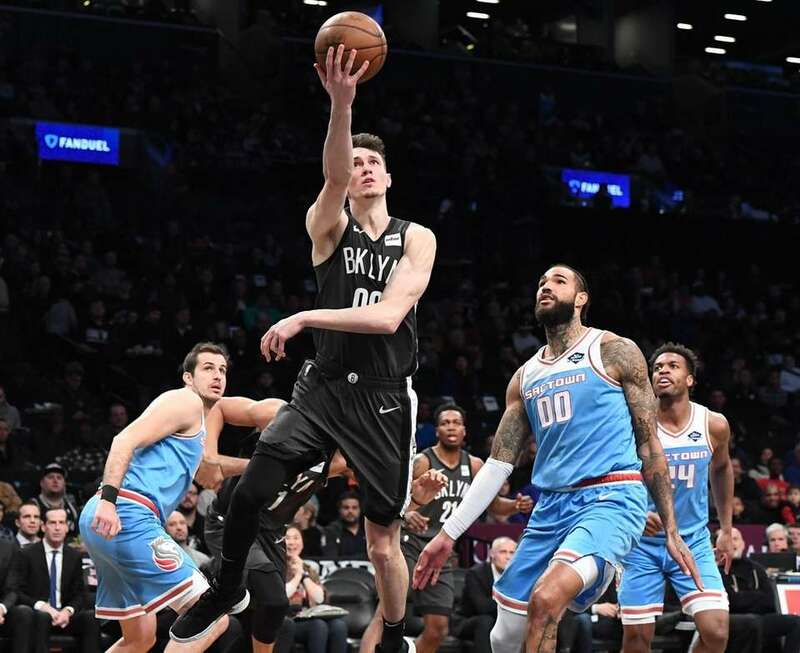 Brooklyn Nets forward Rodions Kurucs puts up a reverse layup as Sacramento Kings center Willie Cauley-Stein looks on in the first half of an NBA basketball game at Barclays Center on Monday, Jan. 21, 2019. 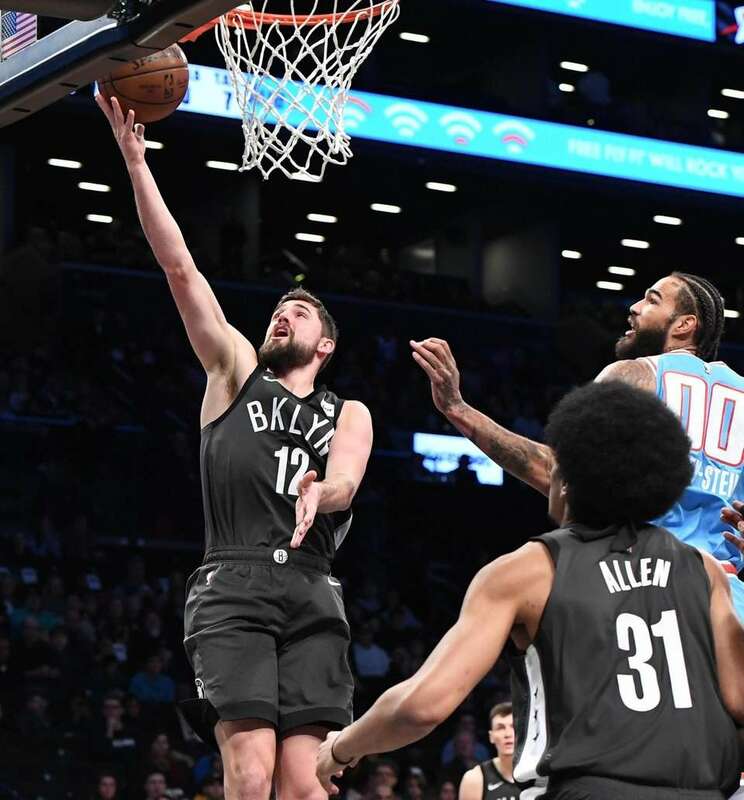 Brooklyn Nets guard Joe Harris puts up a lay up against the Sacramento Kings in the first half of an NBA basketball game at Barclays Center on Monday, Jan. 21, 2019. 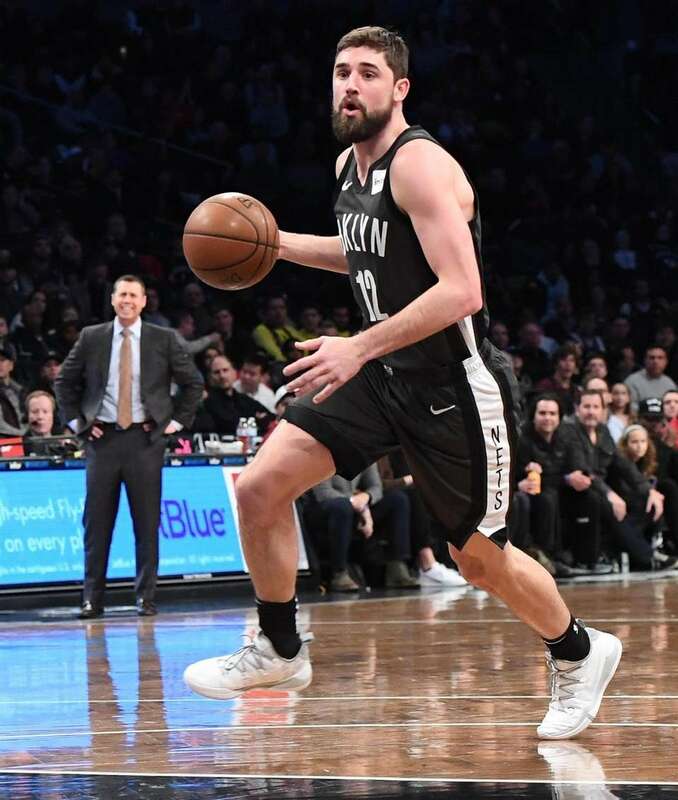 Brooklyn Nets guard Joe Harris dribbles the ball against the Sacramento Kings in the first half of an NBA basketball game at Barclays Center on Monday, Jan. 21, 2019. 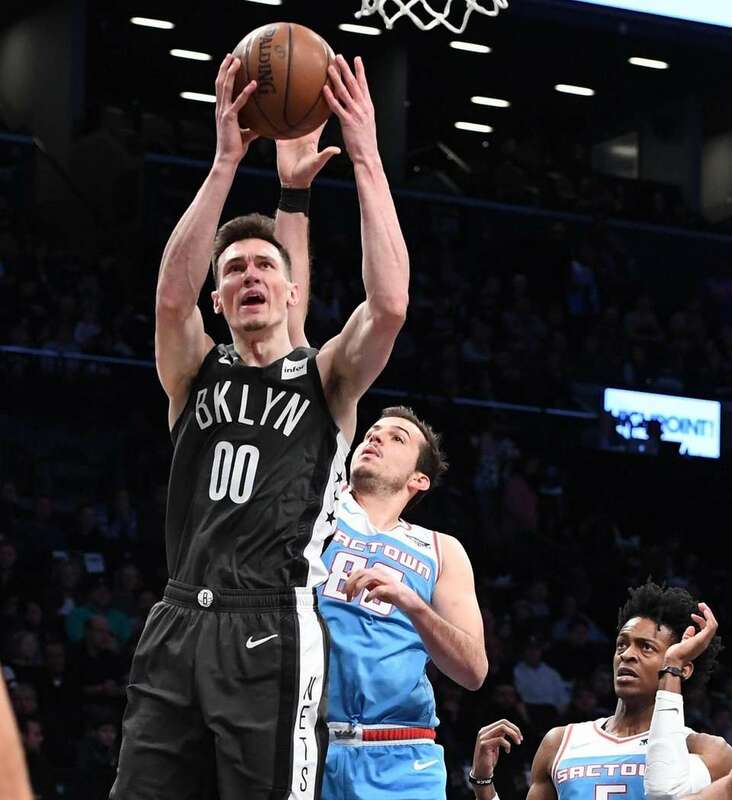 Brooklyn Nets forward Rodions Kurucs puts up a shot ahead of Sacramento Kings forward Nemanja Bjelica in the first half of an NBA basketball game at Barclays Center on Monday, Jan. 21, 2019.